Home > Motion Sickness > Reliefband Kit Stops Motion Sickness, Sea Sickness and Morning Sickness Fast - Comes with 2 extra batteries & 1 extra tube of gel. 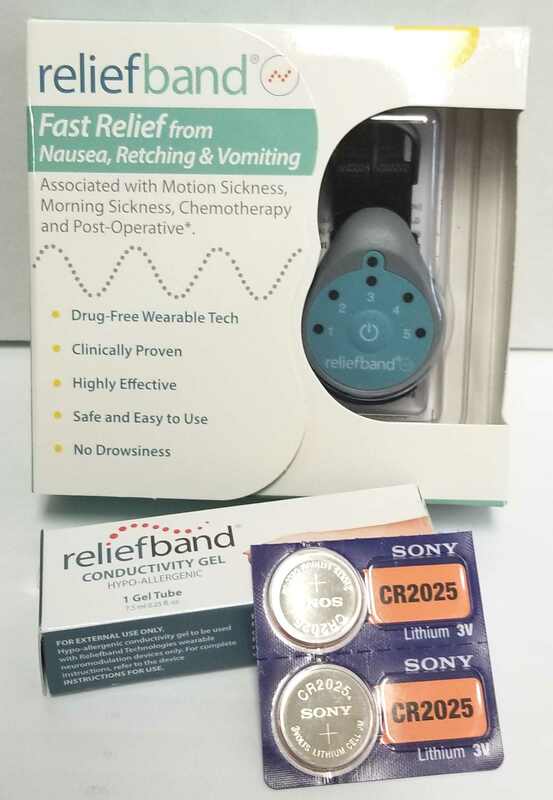 The ReliefBand® with Replaceable Batteries is a FDA cleared medical device that relieves symptoms associated with Motion Sickness (nausea and vomiting) using proprietary nerve stimulation technology. Technically referred to as “neuromodulation,” the ReliefBand® with Replaceable Batteries is specifically programmed to regulate and balance the various stimulus mechanisms causing motion sickness. When activated, the device emits gentle electrical impulses to the underside of the wrist. These intermittent signals create a “tingling” sensation in the palm and middle fingers, indicating the device is working and stimulating the appropriate median nerve. Reliefband Kit comes with 2 extra batteries and 1 extra tube of gel.